Established in 1977, Mike Thompson Electrical, located in Northwich, Cheshire, have undertaken many electrical installations throughout the United Kingdom. We are full members of the NICEIC approved contractor scheme, all our employed operatives attend regular updating training courses to keep Mike Thompson Electrical at the cutting edge of any new technology or regulations that are introduced to NICEIC. 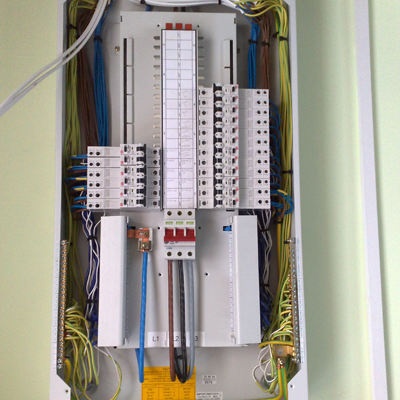 Mike Thompson Electrical Limited fully understand your need for compliance with Electrical Safety and Wiring Regulations, as well as offering a flexible and responsive service. We are committed to providing a first class service for our commercial clients and offer you a complete range of services for your business needs. Mike Thompson Electrical Limited is a full member of the NICEIC Approved Contractor Scheme.